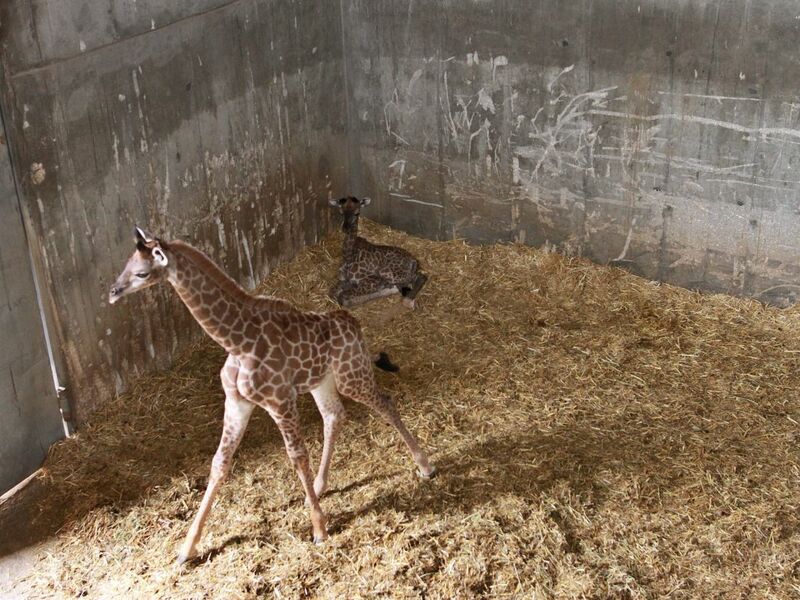 Latest addition to second generation of South African giraffes born over the weekend. 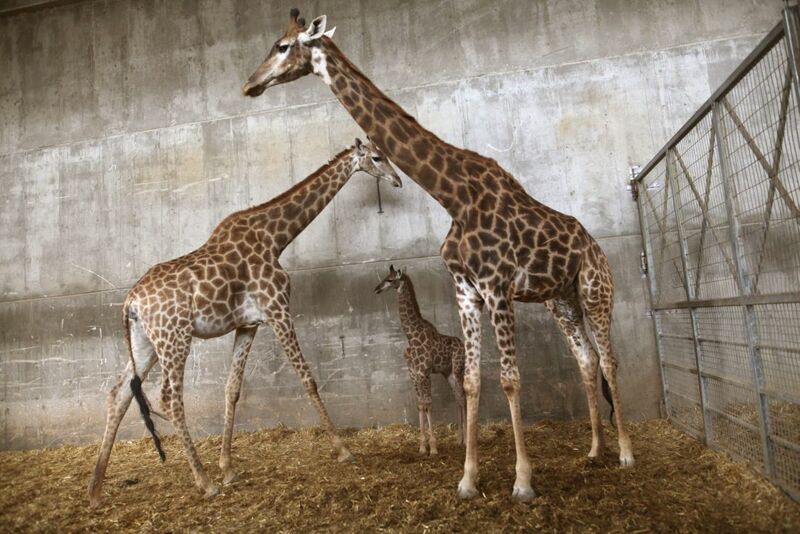 Three giraffes have given birth in the last month in the Biblical Zoo in Jerusalem. 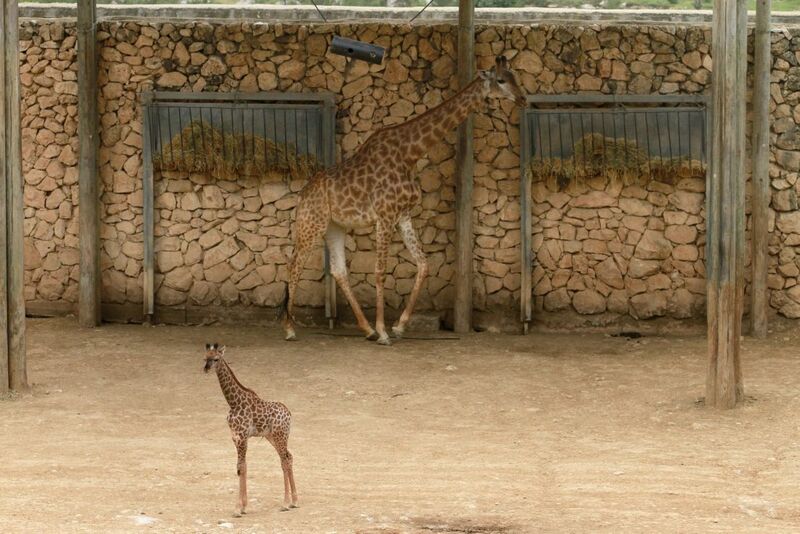 The calves are the second generation of a family that was brought to Israel from South Africa 10 years ago, and found a new home in the African Savannah section of the zoo, also known as the Tisch Family Zoological Gardens. 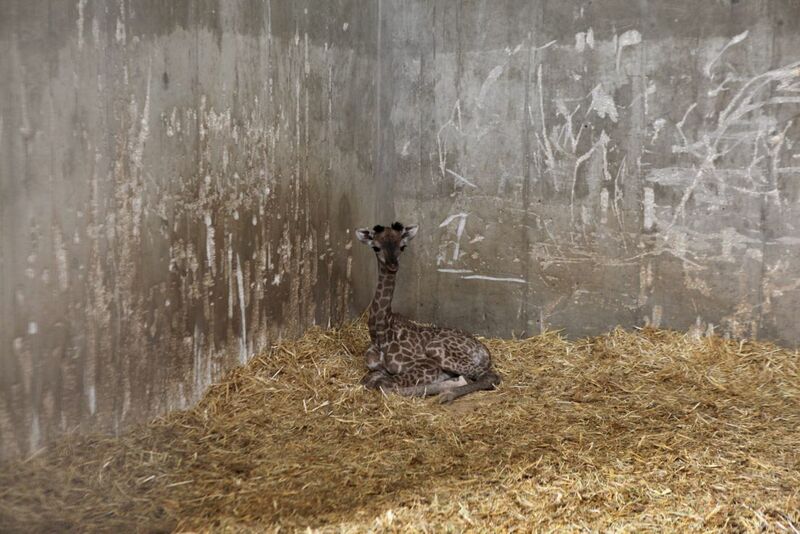 The oldest of the offspring (Giraffa camelopardalis giraffa), named Rotem, is now four weeks old and is roaming with her mother in the open part of the African section. 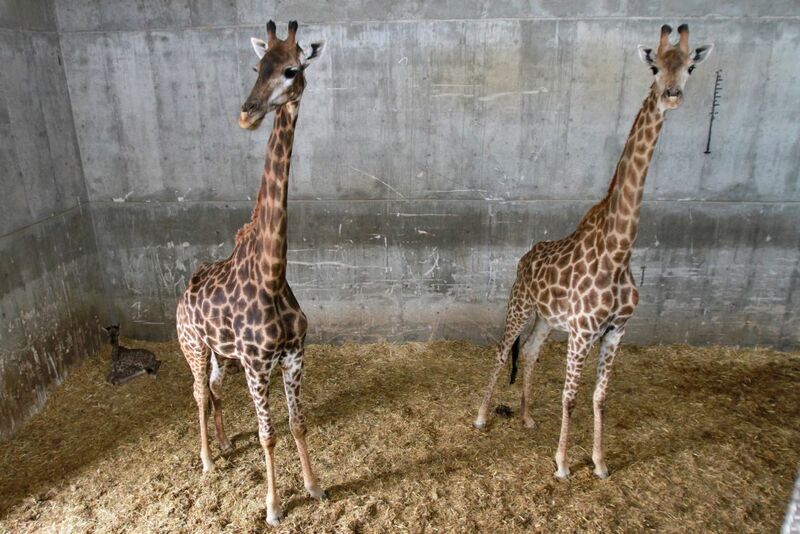 The second-oldest calf, a male named Adis, is still in the nursery – a protected area set aside for mothers and their newborns – along with a third new mother who delivered a female calf just three days ago and has a problem with her leg. 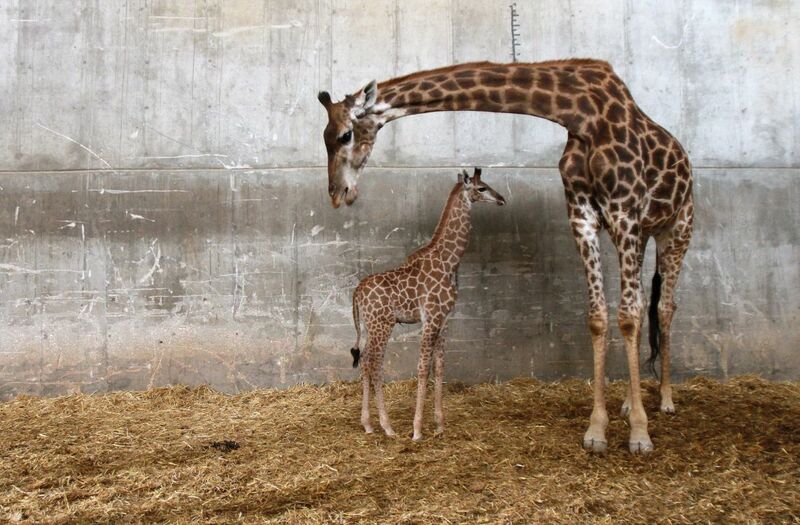 Newborn giraffe calves are usually 1.80 to 1.90 meters tall at birth, and they can grow as much as half meter in height in their first month. 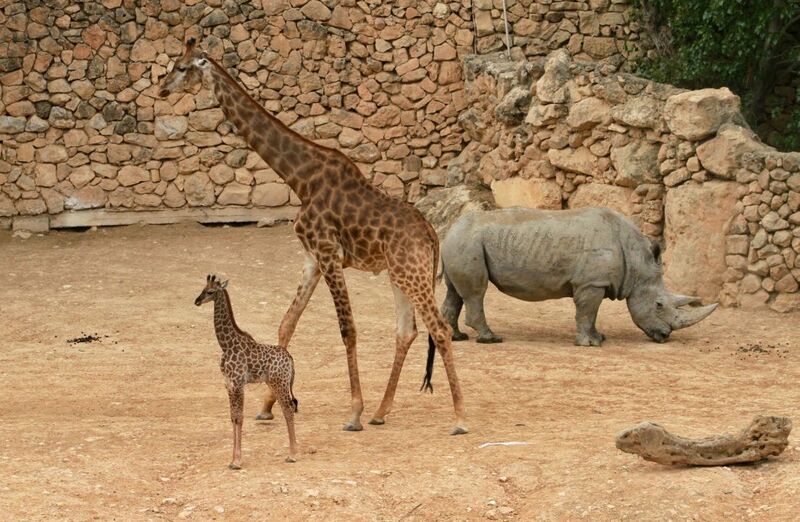 For now, one-month-old Rotem is already looking down on her rhinoceros neighbors.